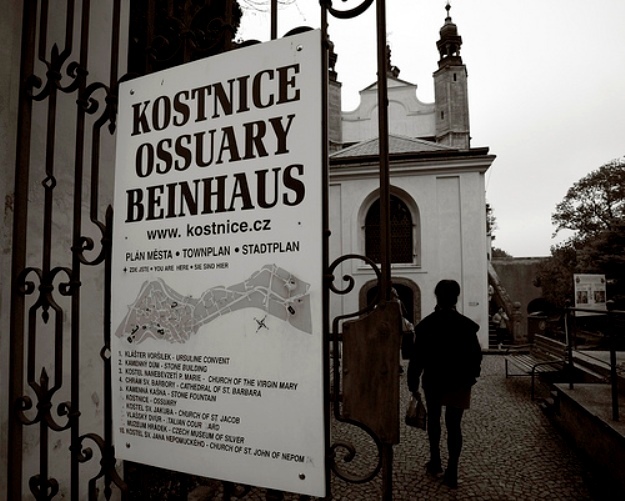 Outside of Kutna Hora in the Czech Republic is a church that is known as the Feast of All Souls (Not to mention Noche de Muertos): The Sedlec Ossuary. 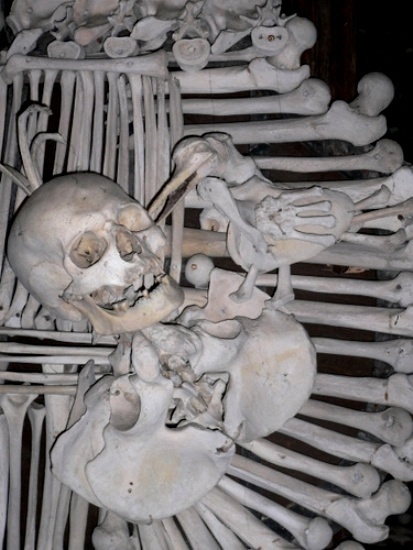 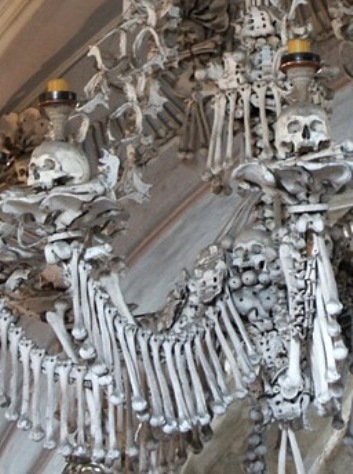 An ossuary is a place or a receptacle for the bones of the dead. 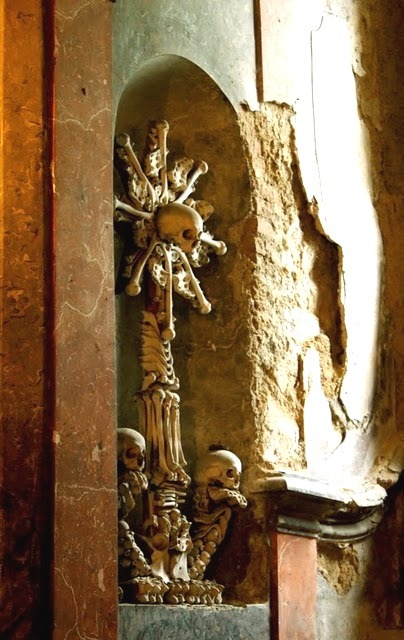 Part of the Cemetery Church of All Souls, this small Roman Catholic chapel is estimated to contain the bones of between 40,000 and 70,000 people buried here since the middle ages. 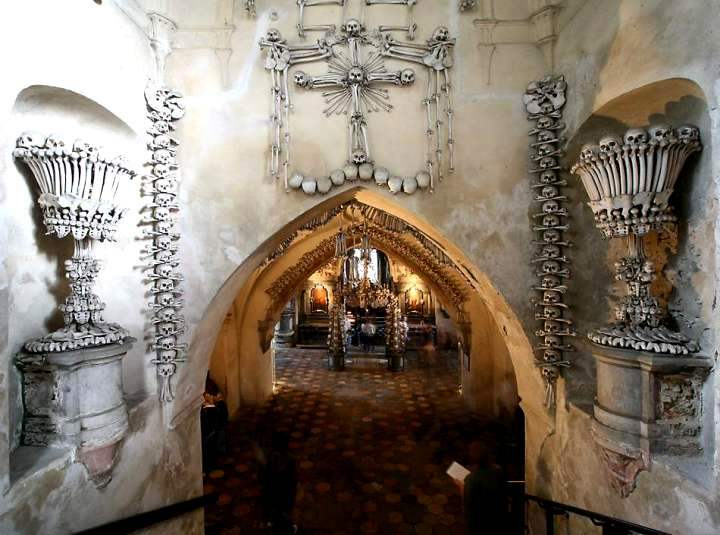 Sedlec Ossuary has a long history, beginning in the 13th century when the Abbot of the Sedlec Monastery (Abbot Henry) brought a handful of earth back from a journey to the Grave of the Lord in Jerusalem. 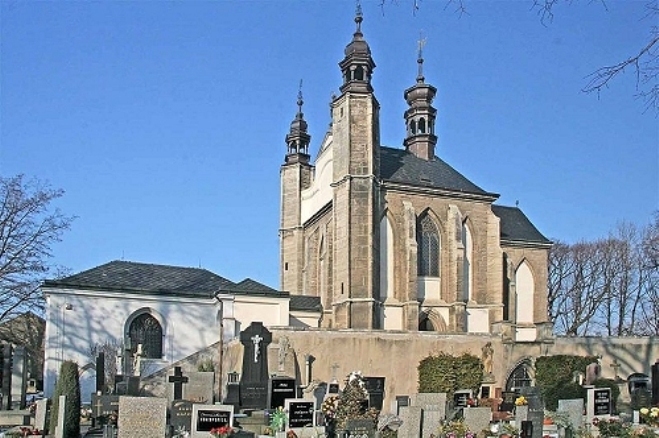 He scattered this “holy soil” across the Sedlec cemetery, securing its place as one of the most desired burial sites for people all over Bohemia and the surrounding countries. 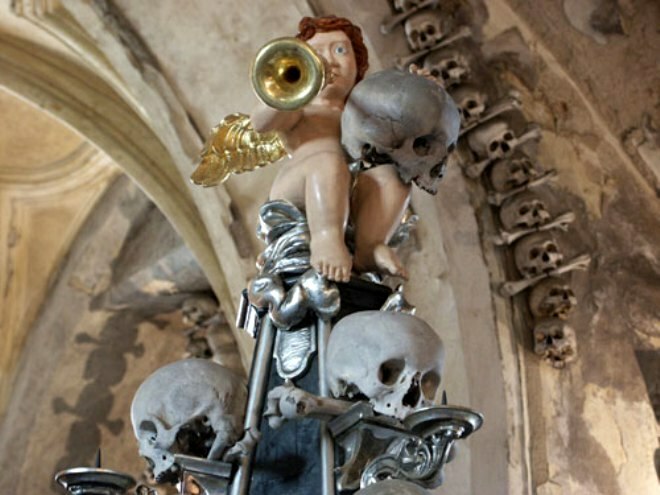 Everyone wanted to be buried in that handful of the Holy Land. 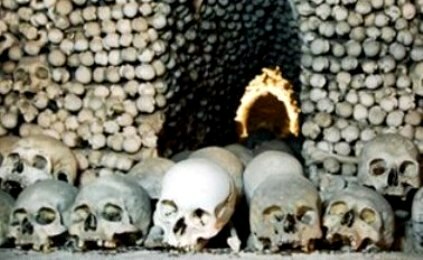 But it wasn’t long before there simply wasn’t enough room for everyone to rest in peace, and the bodies were moved to a crypt to make room for the newly dead. 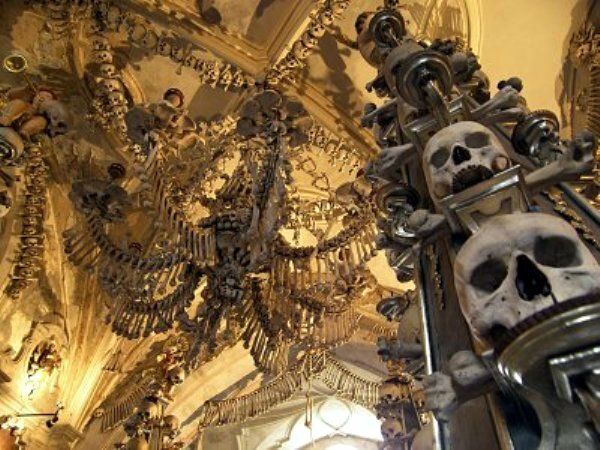 What makes this even more remarkable is that the custodians of this ossuary have arranged bones to form the decorations and furnishings for the chapel. 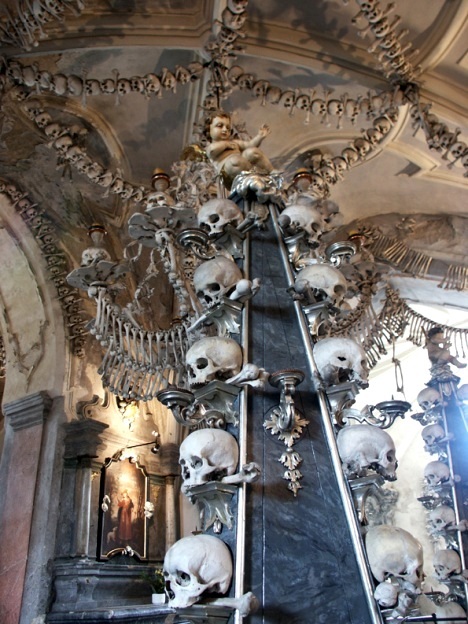 In 1870, František Rint, a woodcarver, was employed by the Schwarzenberg family to arrange the bones. 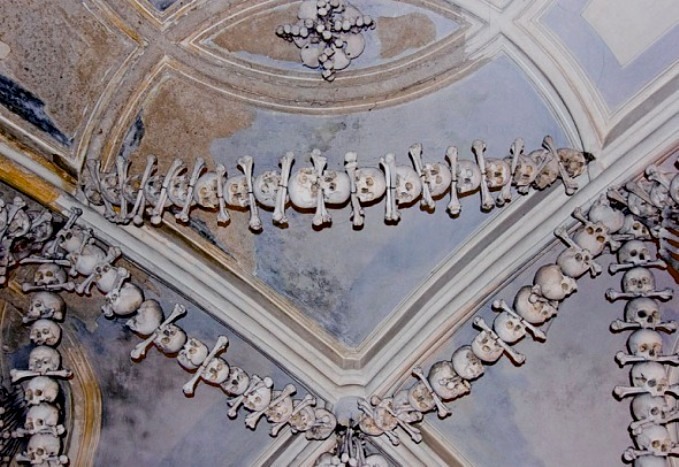 His work has resulted in an eerie form of art that reminds us that life on earth is not forever. 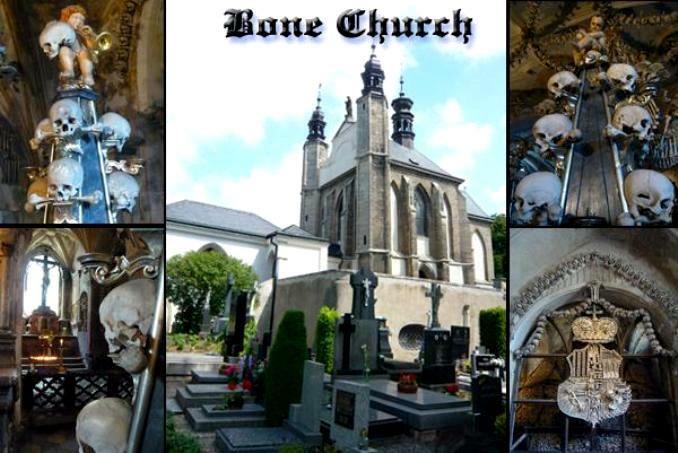 The church is not made of bones – it is constructed of stone. 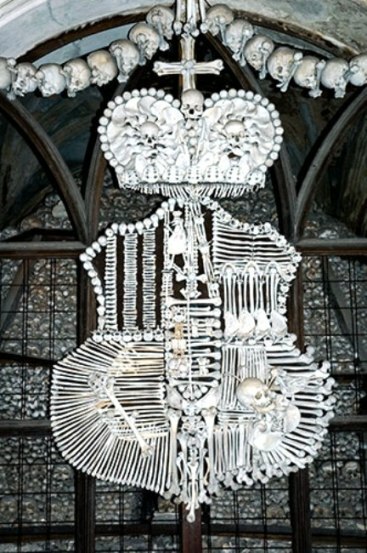 The bones form the inside decorations and details.